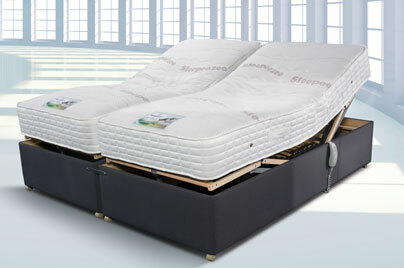 The range of bed and mattress options are fairly limited simply because of the wide range of mattress options available. However, that is not to say there are not still plenty of offers available. 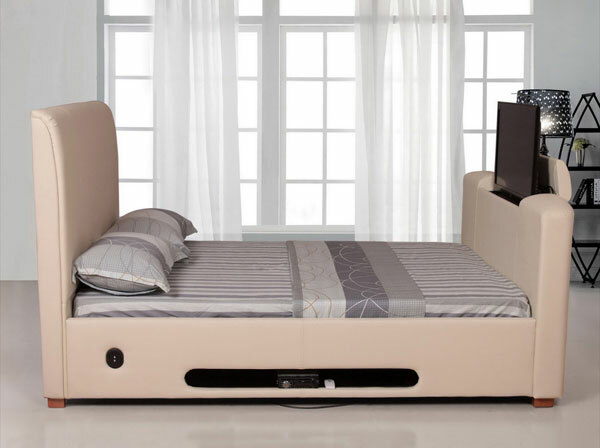 Included within this are luxury options such as TV Beds and adjustable orthopaedic beds with two mattresses with optional individual comfort ratings. Individually adjustable double beds are becoming increasingly popular, and the 5'0" Cool Comfort Adjustable Bed Sprung Slatted version is under £1300. 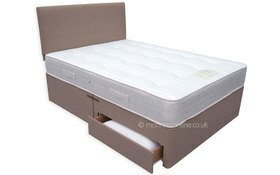 At under £300, the Sensaform Enchantment Double Size 2 Drawer Divan Bed Set is a good example of the kinds of prices you can pay for perfectly adequate beds. The Royal Standard Ortho Mattress with Autograph Divan Base, at under £300, is priced in the region of mattress prices alone. This is a fun bed - A York Damask mattress is included with this Artisan Leather TV Bed, which has an area for the TV to elevate at the foot of the bed stead. It is around £1000.